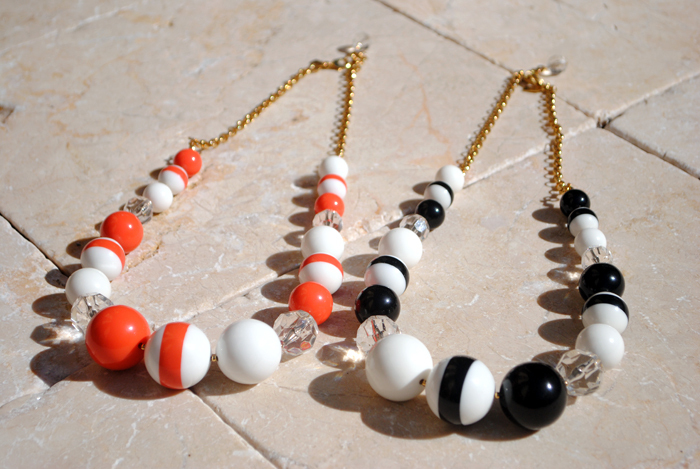 I have always respected the chic and sophisticated style that encompasses everything made by Kate Spade and these two necklaces are no exception. 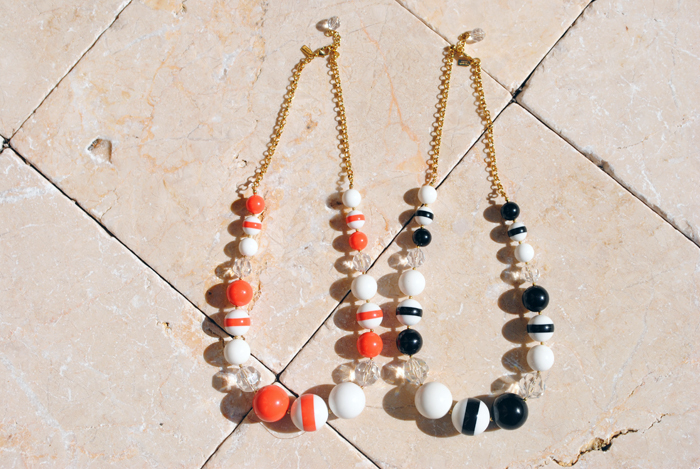 The fresh vibe these Kate Spade pieces give off can be attributed to the oversized striped & solid beads carefully broken up by clear crystal-like beads. Since I had not seen anything like these necklaces before, I was thrilled to take them home. Recently I've been wearing the black one since its the perfect last minute addition to almost any outfit. The orange version I have been saving to wear in spring since the coloring is perfect for the tangerine trend. Here's a detail shot from the other day. I am wearing an Armani Exchange tank with a lime green Victoria Secret bra. I love the studs on the straps. Since the straps are so ornamental, it seems okay to have them exposed. Everything about this outfit makes me smile. a fun hat I got 60% off from BGBG, awesome leopard leggings, and oversized beads.. Yesss.